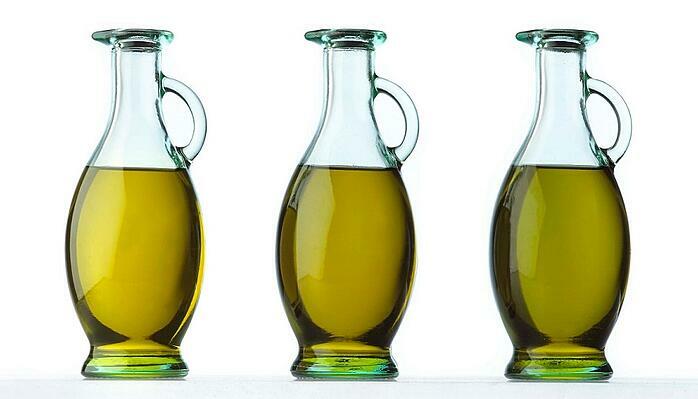 Yes, there are different types of olive oil. And no, choosing an olive oil doesn’t have to be difficult! There are two main considerations to think about when choosing which type of olive oil you want to reach for - one is flavor and the other is usage. So the rule of thumb is maximize flavor with EVOO and minimize (the oil) flavor with olive oil. This is an easy rule to remember especially if you are using olive oil in place of another oil in a recipe. I tend to use a delicate EVOO to replace canola or vegetable oil in any basic cooking and even baking, and use a stronger, vegetal EVOO if the recipe involves red meat, vegetables or a tomato base. For something like cupcakes (especially with kids as the audience) I use olive oil instead of vegetable oil so they don’t taste “different” – and the results are still better, a lighter texture that stays moist longer. Try it and see for yourself! How you plan to use each type of olive oil is important mainly because the flavor may be affected when cooking. Olive oils, especially extra virgin olive oils, have a varying range of smoke points (again, this depends on the type of olive, where it was grown, and how it was produced). The good news is that even the low end of this range is high enough for nearly any type of cooking you’ll be doing at home. You can saute, pan-fry, bake, grill and even poach with both extra virgin olive oil and olive oil. But keep in mind the longer and hotter the heat is, the more the flavor will change or diminish. If you have an EVOO that you absolutely love, use it last and drizzle it over whatever you’re eating. This is referred to as “cold” use. If you’ve shelled out big bucks for a limited edition EVOO, you may want to use that one as the finishing touch and use another everyday EVOO in your pan or grill. Since olive oil is mainly refined olive oil, which has a more consistent smoke point in the higher range, some people prefer it for sautéing, roasting or other “hot” uses. It can also be easier on your wallet, although an affordable EVOO will perform well too. Bottom line, expect EVOO flavor to change when used in cooking. You can have an everyday bottle to use in the pan and a finishing bottle to flavor your finished dish.